If you can answer ‘yes’ to any of these questions, then this course is just right for you. Are you feeling lonely or depressed lately? Do you have problems with your health, your job, your relationships, your psychology, your finances, or finding friends? Would you like help with your spiritual life? During our group sessions, we study subjects that can help solve any problem with solutions from topics such as karma, reincarnation, twin flames and soul mates, angels, the ascension, elementals (nature spirits) your divine origin, your destiny, and numerous other subjects that may be of interest to you. We offer a free book for anyone who comes for the first time. The atmosphere is informal and there is no charge. The format includes group discussions, a powerpoint presentation, videos, and meditations. For more information, email us at info@ascendedmasterteachings.com. *The Ascended Masters are the saints from east and west who have finished their reincarnations and attained their immortal freedom. They have lived here on earth just like us and have overcome similar problems. Understanding their teachings can open up a different perspective and provide solutions to your problems, along with prayers and community support. Spiritual Quest Study Group – You Are Invited! 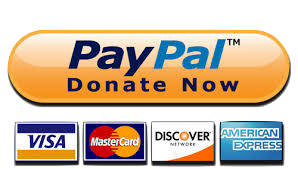 Make a one-time donation or set-up monthly recurring donations. Enter your email address to follow our site and receive notifications of new posts by email. LOOK FOR A CONFIRMATION EMAIL to CONFIRM this request.